Why Should You See a Chiropractor After Being in a Car Accident in Georgia? After being involved in a car accident in Georgia, seeking medical help should be your top priority. Arrowhead Clinic helps victims who suffer from car accident related injuries get the medical treatment they need. 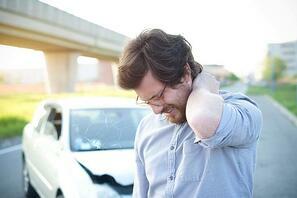 Our team of Professional Chiropractors specialize in Car Accident Injuries. We have over 40 years of experience diagnosing injuries and creating customized therapy programs that allow our patients to have a fast and successful recovery. There are a few different routes that you can take to heal your pain after being in a car accident. Chiropractic care is an all-natural and gentle solution to your car accident pain. At Arrowhead Clinic, our chiropractic treatment is specifically geared towards helping victims of car accidents just like you. This type of treatment doesn't use intrusive surgeries or addictive painkillers to aid in the healing process. Instead, it works to help your body restore its mobility and flexibility naturally, while at the same time relieving soreness and stiffness. Flexion-distraction technique: Is a gentle, hands-on, spinal manipulation that involves a pumping action on the intervertebral disc instead of direct force. Instrument-assisted manipulation: Uses a handheld instrument to allow your chiropractor to apply force without thrusting into the spine. Specific spinal manipulation: Helps restore joint movement using a gentle thrusting technique. If you were recently injured in a car accident in Georgia and desire to be treated by a Professional Chiropractor click the link below to schedule your free consultation! If we haven’t convinced you to come see us yet, please keep reading to learn more! How Much Does It Cost to See a Doctor in Georgia? If you recently found yourself the victim of an auto accident you should not be the one responsible for the cost of your medical treatment. Our Chiropractors at Arrowhead Clinic work hard to ensure that you do not pay a dime out of pocket for your medical treatment. We are able to accomplish this because we work hand in hand with insurance companies to ensure that the cost is covered by the guilty party. We know the amount of stress involved when it comes to a car accident, and we want to do our part to relieve some of that stress from you. So, we partner with experienced Personal Injury Attorneys that fight to ensure that you, our client, receive the financial compensation that you deserve from your accident. What if I Don’t Feel Injured? The truth is, you should always seek out medical attention after being in a car accident in Georgia. You might walk away from the accident thinking that you are fine, but that doesn’t mean that you are. Often, it can take up to 48 hours for symptoms of injuries to appear. So, if you start to feel the symptoms of whiplash or back pain the day after the accident you will want to seek out medical treatment. It is important to have all of your injuries properly documented by a medical professional because not only do you want to make sure that you are treated properly, but you also want to ensure that the bill is covered. The longer that you wait to get treated, the less likely the insurance company will be willing to cover the cost and you may have to pay out of pocket. Here is what you can expect on your first visit when you decide to come to our Georgia office. 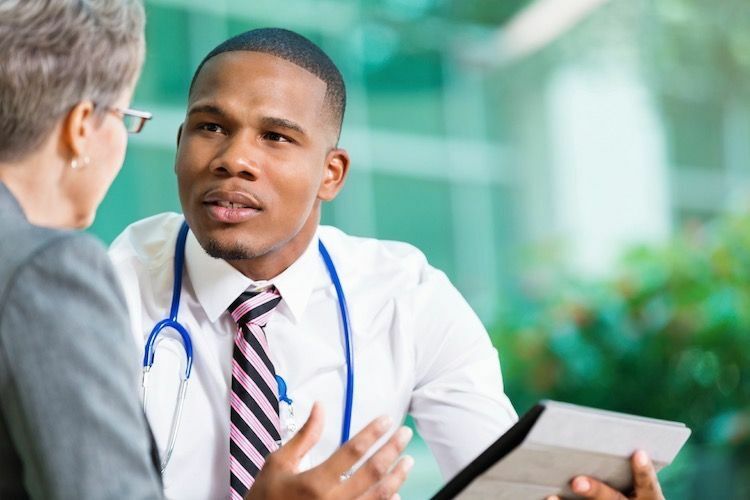 You will be asked to fill out a form that provides background information about your medical history, current health conditions, and any symptoms from your accident that you are experiencing. Then you will be given a general chiropractic exam where your doctor will test your blood pressure, respiration, pulse, reflexes, range of motion, posture, muscle strength, muscle tone, and neurological integrity. Based on the results, your chiropractor will then create a customized recovery plan for you. This will be your plan of attack for reducing your pain and getting back to your life before the car accident. 1. )Chiropractic Mobilization – the manual manipulation of the spine that is used to increase the strength and flexibility of the tendons and muscles. 3.) Electrical Muscle Stimulation- don’t let this one scare you, it is simply the use of electrical impulses that work to fore the muscles to contract the same way that nerve impulses do. This is not painful but rather a soothing technique that loosens muscle tension in the body. 4.) Pelvic Stabilization Drills- exercises used to strengthen the pelvis and lumbar area to reduce pain and improve strength. 5.) Spinal Decompression, Manipulation, and Subluxation – when a Chiropractor applies pressure to targeted areas and manually manipulates the muscles to restore proper range of motion, improve functionality, and reduce pain. Come in and see us at one of our Georgia Locations Today! If you were recently injured in a Car Accident in Georgia, don’t wait another minute to start feeling better. Click the link below to schedule your free consultation with one of our Professional Georgia Chiropractors today.